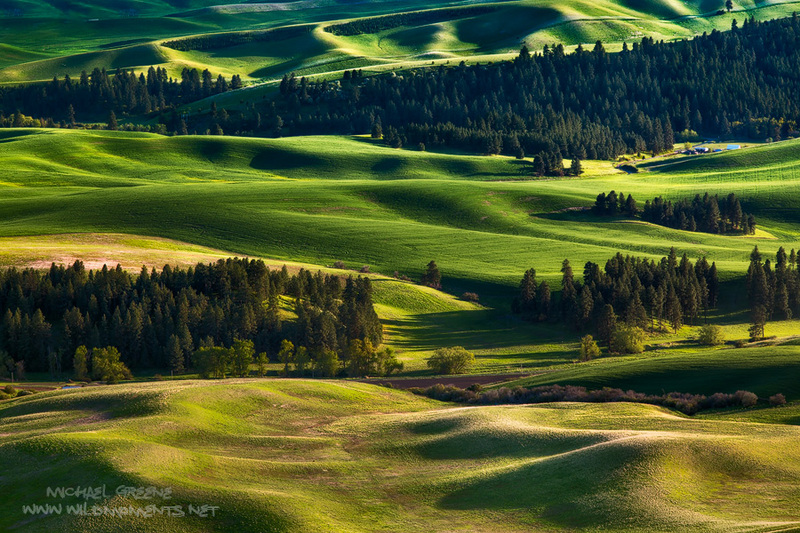 Golden light caresses the rolling green landscape of the Palouse in Eastern Washington. Captured in late spring. Photo © copyright by Michael Greene.